Jen Cohen had a good idea. 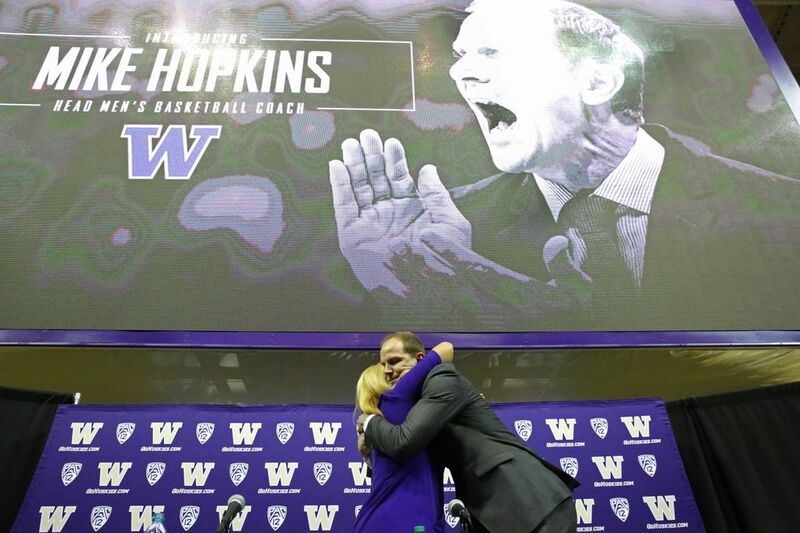 She wanted to hire Mike Hopkins to be the next coach of the Washington men’s basketball team, but she had a few questions before offering him the job. Two days after firing Lorenzo Romar, the Washington athletic director flew 2,740 miles to upstate New York and met with Hopkins at a downtown Syracuse hotel. They’re both huggers and criers, so it was an emotional day as they talked about their leadership styles, coaching philosophies, shared acquaintances and mutual interest in meditation. Cohen immediately got a good vibe when Hopkins brought his wife, Tricia, to the interview. Cohen was even strangely intrigued when he interrupted their conversation and plopped down on the carpet to bang out a few pushups. Still, Cohen needed to hear the right answer to the one question that perplexed her about the longtime Syracuse assistant who was designated to be the head coach. Hopkins spent most of that day convincing Cohen that after 22 years he was ready to leave his role as the dutiful steward of Syracuse and the expected successor to Jim Boeheim and take on a new challenge. He thought he was ready to leave before and had interviewed for jobs at St. Bonaventure, Charlotte and USC in the past. “I’m a gut guy,” he said. “I coach with my gut and my gut said go. And then it was like ‘Oh my god, I’m about to leave.’ I’ve lived here. I’ve built a lot. Built a life with kids and wife and everything. It’s scary. Hopkins has revitalized a dormant program and guided Washington (26-7) to a Pac-12 regular-season champions and a spot in the conference title game. The Huskies are also returning to the NCAA tournament for the first time since 2011. Hopkins can admit it now. He was more than a little nervous when he first came to Washington. 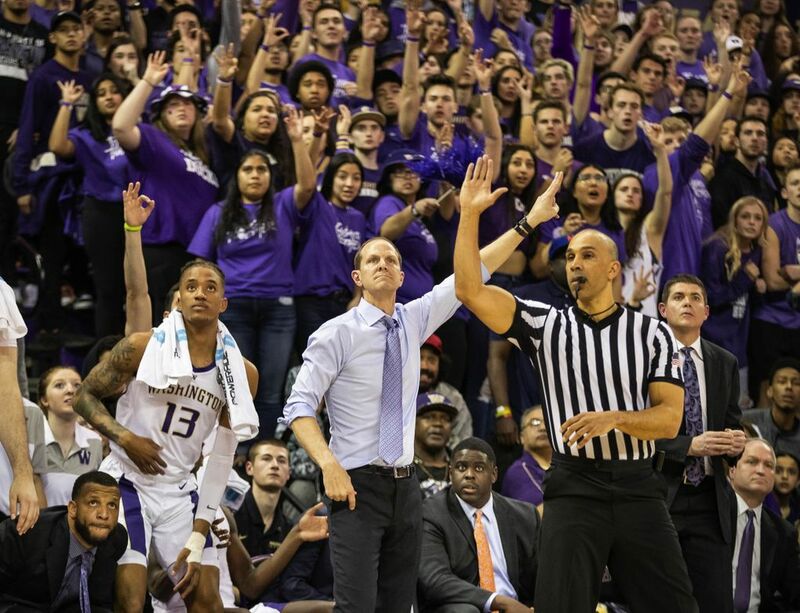 The 49-year-old first-time head coach was the fresh new face and unknown newcomer to UW fans who was replacing a beloved figure in Romar, who spent 15 years with the Huskies. Given a six-year, $12.3 million deal, Hopkins inherited a 9-22 team that went 2-16 in the Pac-12 and had lost 13 consecutive games. Even worse, UW’s top-10 ranked recruiting class had nearly completely fallen apart and several Huskies were looking to transfer. “To be honest with you, I was scared out of my mind,” Hopkins said, laughing. “I know how to coach. I know what to do. I’ve been part of a winning and successful system where it’s not just something I’ve memorized, but it’s in me. Hopkins made it a priority to retain assistant Will Conroy. Soon after, he brought in two former head coaches in Cameron Dollar and David Rice to fill out his staff. Most of the team decided to stay, but the entire incoming freshman class was gone, with the exception of Jaylen Nowell. The former Garfield star has led UW in scoring the past two season and was named the Pac-12 player of the year. Even now, Hopkins has difficulty explaining what led him to Seattle. He felt a need to be closer to his ailing father, Griff, who reportedly dealing with the onset of dementia. His dad grew up in Laurelhurst and went to Roosevelt and UW before moving to Southern California. “In a spiritual way, I believe I was meant to be here,” Hopkins said. “How everything happened. I always remembered when I got fired playing basketball, I thought the world was going to end. Lately, she’s had a few sleepless nights worrying about Hopkins, who is sure to be linked with coaching vacancies like he was last year when the Pittsburgh job became available. Cohen and Hopkins are in negotiations on restructuring his contract, which will likely include an increase in salary – he makes $1.9 million this season – and another extension. Without fanfare, UW extended his contract last year. Washington also is moving forward with plans to build a basketball-only facility next to Alaska Airlines Arena where the swimming pool currently resides. Cohen said the school has raised $25 million in private donations for the project. Growing up in Laguna Hills, Calif., Hopkins played at Mater Dei, a Southern California high school powerhouse and learned the game from its legendary coach Gary McKnight. A self-professed hard-nosed player, Hopkins said he was the sixth-best freshman before elevating to a senior star with a scholarship to Syracuse. The 6-foot-5 point guard took a similar route with the Orange and he redshirted his first year and averaged just 2.9 points as a freshman. He ended up as a two-year starter and a team captain. At Syracuse, Hopkins found a mentor in Boeheim. The Hall-of-Fame coach hired Hopkins as an assistant in 1995 and he rose to the ranks as his chief lieutenant and would-be successor. Only those two know if the reason Hopkins is at Washington is because he grew impatient of waiting for Boeheim to retire. Boeheim was scheduled to step down in 2018 and perhaps not so coincidentally, he received an extension three days after Hopkins left. 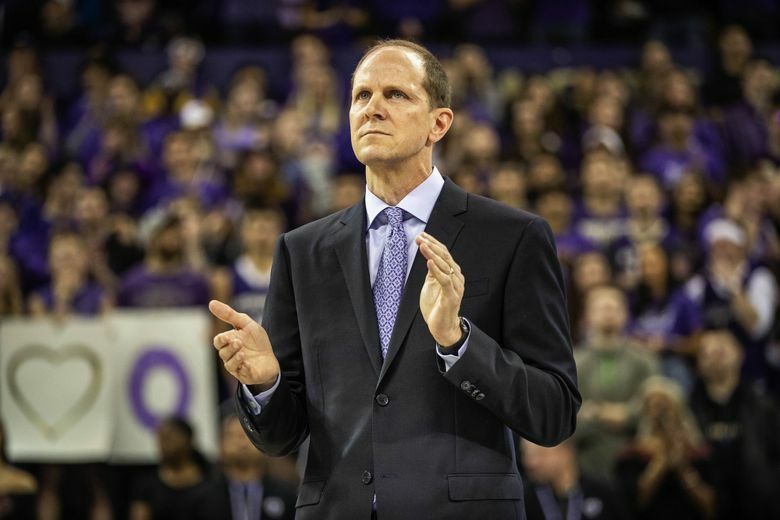 The same week Hopkins took the Washington job, his close friends Northwestern’s Chris Collins and Marquette’s Steven Wojciechowski guided their teams to the NCAA tournament. It was the first NCAA tournament victory in school history for Northwestern and the first Big Dance appearance in four years for Marquette.